My dad told me the story of A Christmas Carol when I was about six years old (1954). My dad was a great storyteller. We were on the trolley in Pittsburgh. My dad was wearing his khakis and military shoes from when he was stationed in the Pacific during WWII --- nine years before. "Once upon a time, a man always said, 'Bah, humbug' when anybody wished him a 'Merry Christmas'. This man hated Christmas. He just kept saying, "Bah, Humbug!" "One Christmas Eve he was getting ready to go to bed. He was sitting in front of the fire on the second floor. All of a sudden, he heard chains clinking up the staircase. He was the only one in the house. He lived alone on the second floor. "There was even the sound of a train on the steps. He was really scared. Then, his buddy came walking through the door. His buddy had a chain around his waist, and a bunch of cashboxes and locks were attached to it. "His buddy was already dead for seven years . . . "
These old trolleys didn't look this neat and spiffy inside back when my dad first told me about Ebenezer Scrooge. 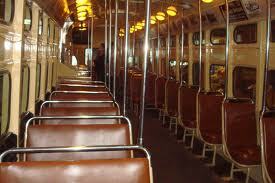 This is a real old trolley, but it would not have looked like this when it was running routes. But, I never forgot that story my dad told me on the trolley. I didn't find out until many years later that it was a "real" fictional and classic story. I'd thought my dad was telling me something that really happened to somebody he knew. One December in 1990, I was on my way to see a local stage production of Dicken's A Christmas Carol. On my way to that production, I found out my dad already passed away. He was only sixty three years old. I did not make it to that stage production of A Christmas Carol. Five months later, my youngest son was born. He and I have had a tradition of reading A Christmas Carol in its entirety each December. We read one "Stave" each week in December. Dickens calls the chapters "Staves" in A Christmas Carol . This book does not cover the exact year when my dad told me about Scrooge. Still, it looks good, with lots of pictures. Maybe some folks dismiss Dickens' A Christmas Carol as an old, shopworn tale. In chapter twenty three, of Cleo Coyle's Holiday Grind: A Coffeehouse Mystery for Christmas, Clare Cosi says, "No, I've never actually read the Dickens story. But everyone knows about Scrooge, right? The terrible misanthrope who hated Christmas?" 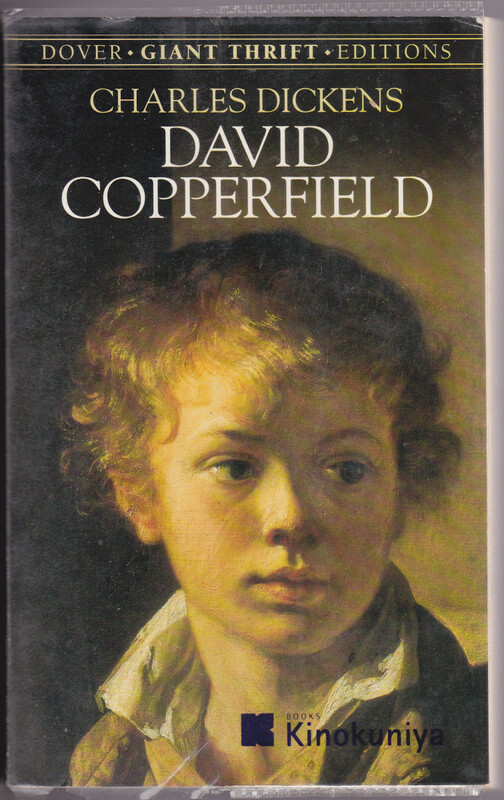 For those of us who love it, read it and revel in its lyricism, language, and humor --- exactly as Dickens wrote it --- that's only a beginning glimpse. TV and movie productions rarely get close. 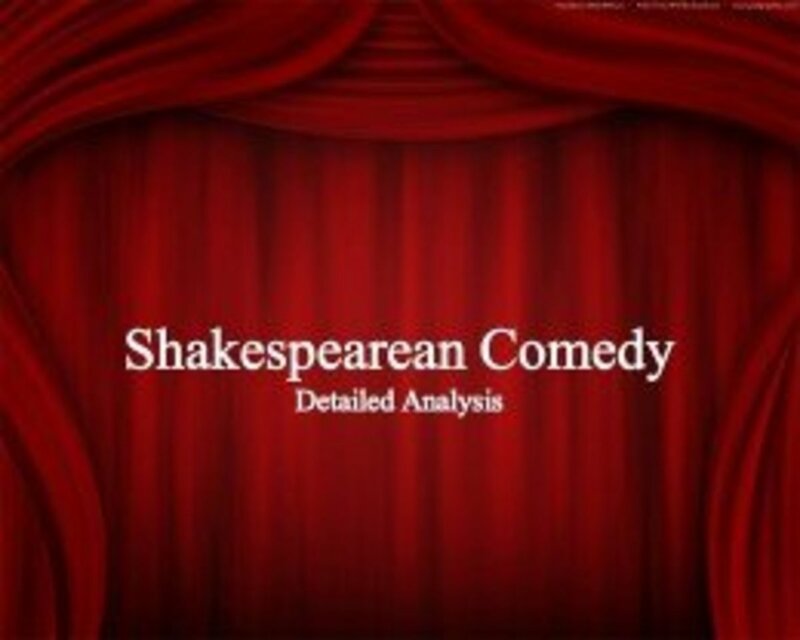 I know a very intelligent psychologist, playwright and expert Shakespearean who says that television, stage and movie enactments of A Christmas Carol are "plastic and insipid". It was soon after A Christmas Carol that Prince Albert brought that Christmas tree from Germany with him. 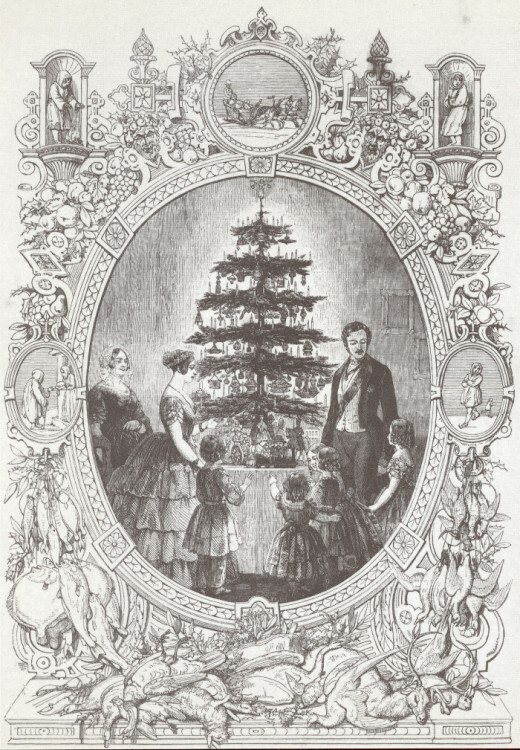 There was a sketch (right) in the Illustrated London News of Victoria and Albert with the kids, standing around the Christmas tree. But, at the time, Prince Albert thought of the tree as a German import, alien to England. It was not meant to be for the general public. The article below, "Fathering Christmas: Charles Dickens and the (Re)Birth of Christmas" explains how the tree --- and other tokens of Christmas --- became normalized due to the influence of Charles Dickens. Christmas, with its apparently timeless customs and traditions, often seems to have been around forever. However, as late as the 1820s, the writer Leigh Hunt labeled it an event “scarcely worth mention,” (from Pimlott, J.A.R., The Englishman's Christmas), and it was widely believed that the holiday, both in England and throughout Europe and North America, was destined to die out. That was when Charles Dickens was about eight years old. Perhaps Dickens had heard mention of this "destiny?" "He may not have created the holiday, or even its nineteenth-century incarnation, but through his tireless efforts to enshrine it and all he understood it to mean, in the public consciousness, Dickens is undoubtedly the Father of Christmas." As we look back from our perspective of a century-and-a-half, Charles John Huffam Dickens does indeed seem to be what London's Sunday Telegraph for 18 December 1988 proclaimed him, "The Man Who Invented Christmas." 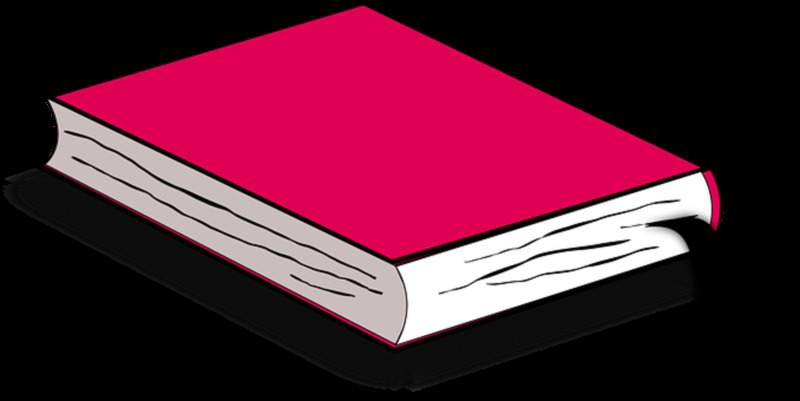 A no-frills, no-nonsense website where you can read many works of literature for free online. A very nice page in the "About Dot Com" Empire. 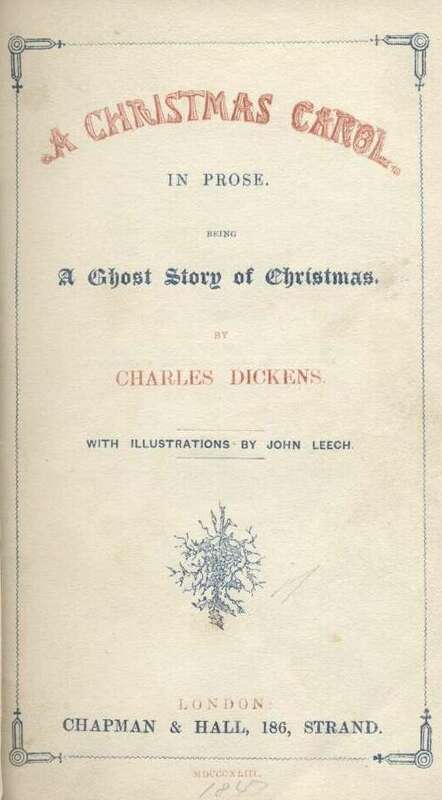 ~~ Why and how Charles Dickens wrote his classic story A Christmas Carol, the tale of Ebeneezer Scrooge and his encounters with the Ghosts of Christmases Past, Present, and Yet to Come. Thanks, Alicia, for the compliment, and for stopping by to read. 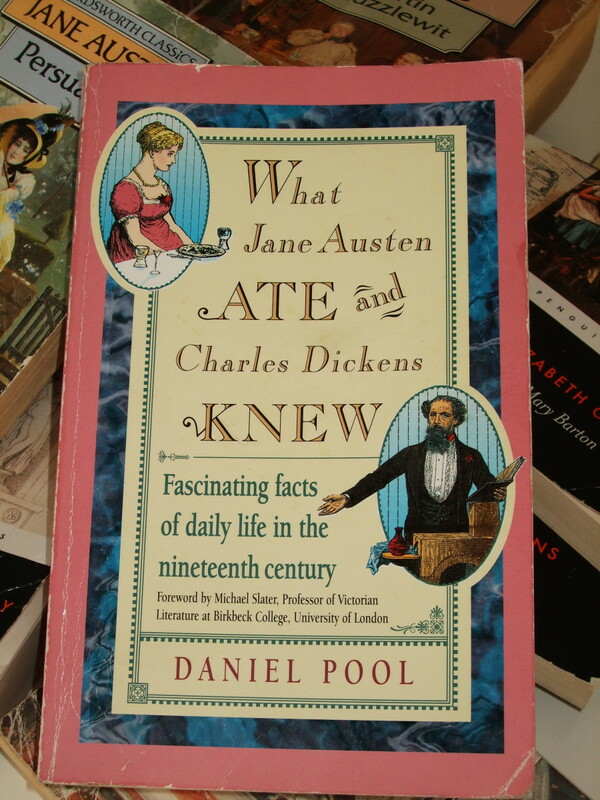 Yes, I do highly recommend reading the original as Dickens wrote it. It is his special Christmas gift to the future. On the other hand, the Alastair Sim version is also a classic. It's probably one of the best of all the screen versions, I think. I had the great honor and privilege of attending a reading of A Christmas Carol put on by local actors last Christmas. They usually perform Shakespeare's plays, but they also have some Dickens stories, as Dickens himself used to read his books at public performances in London. They call it the Dickens Dramatic Reading Society, to distinguish from the usual Shakespearean plays that they normally do. His readings were very popular. Audiences would wait in line for hours to get in. 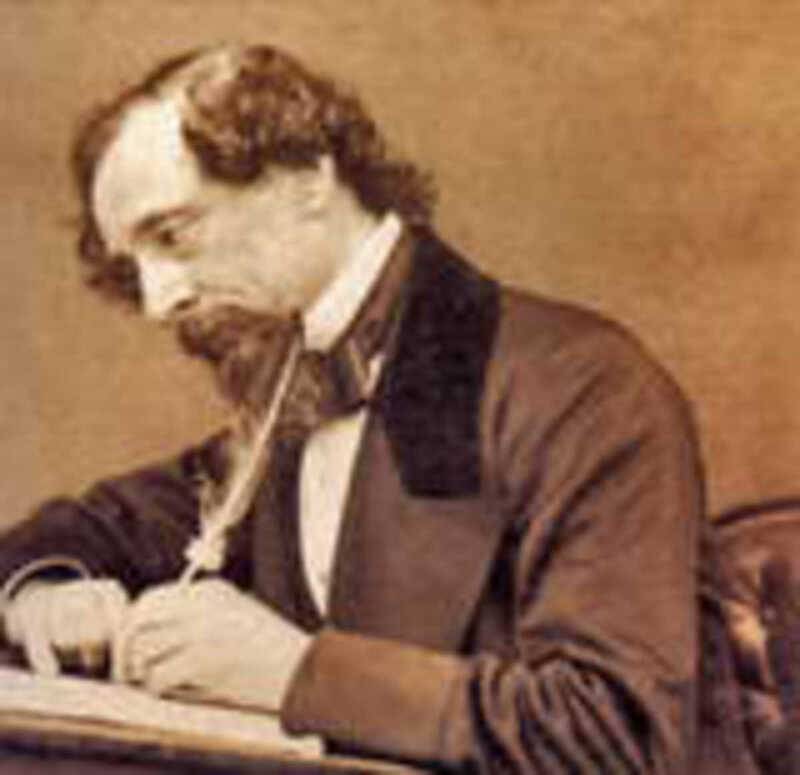 Some said that Dickens would use a hundred different "voices," during these readings of his own works. This is an interesting hub. I read "A Christmas Carol" many years ago, but since then my only connection with the story has been watching Alastair Sim as Scooge in the Christmas movie. It's high time that I read the story again! Dear Au fait, I am so sorry for taking so long to get back to you. The libraries where I go to use a computer are mostly at educational institutions. They have been closed for winter break. Bummer! Yes, I do agree, because A Christmas Carol has always been very meaningful to me. On the other hand, I'm not happy about what Christmas has become in our culture and society. Many thanks for your holiday good wishes. I wish the same for you and your family as well, of course. A Christmas Carol is a great classic. I think it was wonderful that your father brought that story alive for you. I think the lessons that some stories include are more meaningful when a person can relate. Hope you had a great Christmas and that the New Year will bring only happiness and peace. I'm sorry to hear of your Dad's passing. You must miss him, and it sounds like you had a nice relationship with your father. I so do appreciate your comments. Yes, I frequently wonder what Dickens would make of it. I think Ray Bradbury wrote a story about that. "The Man Who Loved Dickens," or something similar. Dickens visits the future, and travels by rocket ship. Ray Bradbury himself loved Dickens. As did Dostoyevsky and Chesterton. So, we're in good company. I'm so glad you guys had a huddle around the fire with your dad-- and Mr. Dickens. As you know, Dickens claims to be "in spirit at your elbow." Thanks for sharing that happy memory. This is a fascinating look at A Christmas Carol. I clearly recall my Dad reading it to us, many years ago, on the cold icy nights before Christmas. We huddled around the fire, sounds most Dickensian I know. But how we hated Scrooge and his Bah Humbug. I still enjoy the work of Dickens. However we view his work on film and tv his memory lives. I wonder what he would make of it all. Thanks for the memory. Yes, I do know about the trolley museum. There are several videos on YouTube of the trolleys and the museum, and the trolley rides. I will definitely write a review if or when I ever go back there. I'm not really sure if I can ever go, because I have serious PTSD regarding some things that happened there. I might not be able to deal with it. We'll see. I'm just really torn about it. Thanks for your comment. I love your Hub titles. Can't wait to start reading those. God bless, dear. Huntgoddess, if you ever get back this way again, there is a trolley museum south of Pittsburgh in Washington, PA. I've been there because a friend was an old conductor and he took us on a tour of the grounds. They actually do trolley rides there. Hmmmm, there's an idea for a review. ----- thanks so much. 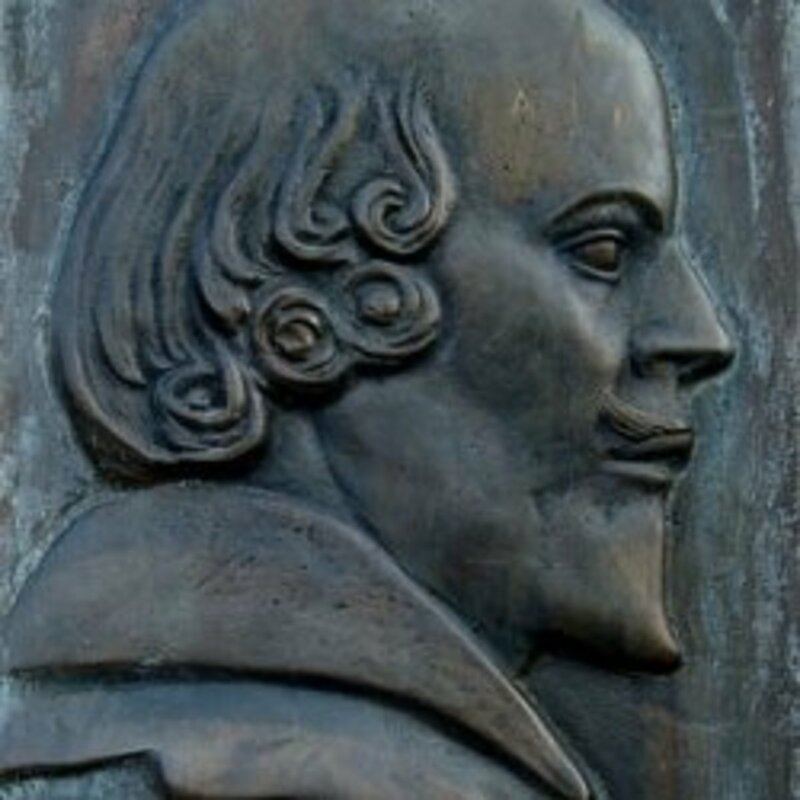 Yes, that IS funny, LOL, you've not read one of the greatest classics of your own great compatriot! :-)) That's the way it goes sometimes, lol. Not "bad", though. ---- But, I DO think you might be in for a treat if and when you get around to reading it. Check it out sometime. Not everybody has the same taste, I know. Some people don't like it. Thanks so much, Nell, for reading my Hub, and for your comments. --- Thanks so much for reading my Hub and for your comment. I do think the book is better. There are many things the movies leave out. Yes, I definitely recommend checking it out. You can use the free links on here. There are always "pay" versions also, of course. --- I'm so happy to hear from another old Pittsburgher who remembers the trolleys!! I was really hoping I would hear from some of you. Thanks so much for reading my Hub, and for commenting. I'm so glad you reminded me about the swaying. That was one detail I left out. Yes, so true, the trolley was swaying while he told me the story. That really brings it to life for me. Thanks, Bearnmom. I hope to write more about the old "burgh" soon. Being from Pittsburgh around the same era, I was fascinated by your original story where your Dad told you the story on a Trolley. Having ridden the trolley for many of my early years, I can get the feel of the swaying of the trolley as your Dad wound his version of this classic. Good job in presenting this one. out this book one day.